This is a spontaneous exhibition of welcome and joy, so why take out the joy and welcome exhibition in life? If we do then this will be another mundane photo . Administration seems to have backed off from deletion. Thanks ,a very wise and popular decision. Thank you eckhard for sharing. regards and thanks to all. Unfortunately, I can not understand why the photo should be deleted. Well, I can not delete all the boats from the picture, because that's what makes this picture. And that shows us the keel is now ship-crazy, see Kieler Woche. Why delete, the small vessels add to the picture. It is a very lively picture, full of movement. Why to delete? 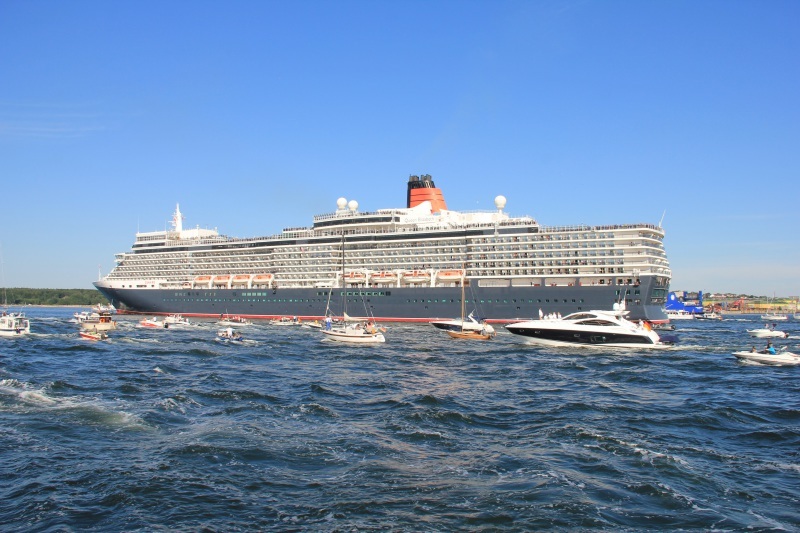 I think the Queen Elizabeth is highlighted by the boats in the foreground!! Volker. This photo has been shown 755 times since it was added to the site.